Earlier this week I came back from a trip to South Korea. I spent 4 days in Seoul to rediscover the city I first visited 3 years ago during our 3 week backpack trip through Korea. This time I went to Korea on my own and had a great time eating delicious food, hiking up mountains, strolling through neighborhoods and drinking liters of coffee. 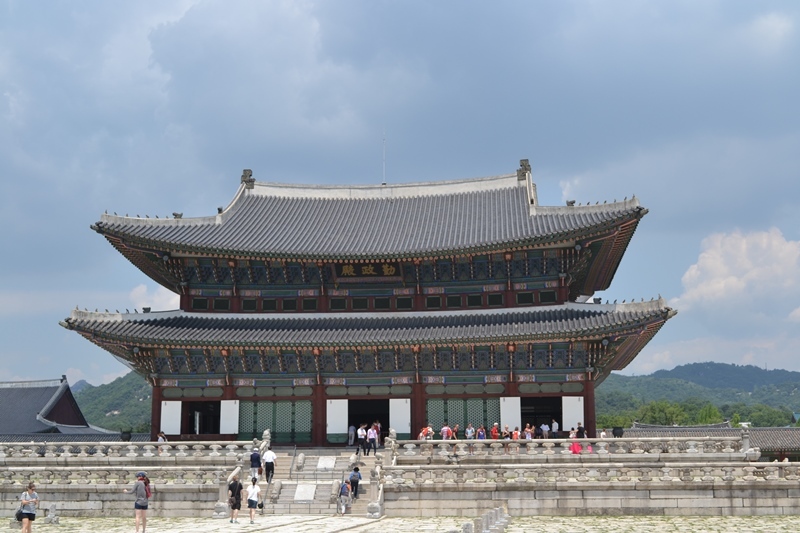 Take a look at the photos and see how I spent 4 days in Seoul! Give me food and I am a happy kid. I love to eat, especially when I’m traveling. So, during my stay in Seoul I took every opportunity to try the local food. Needless to say the biggest part of my budget was spent on food. During one of the nights in Seoul I joined a food tour with On’go Food and had the chance to try Korean barbecue, Kimchi pancakes, Korean omelets and a dessert made of snowflakes. It all tasted amazing! The dessert was the best though; the next day I went back to the restaurant to order another Snowflake Sherbet! 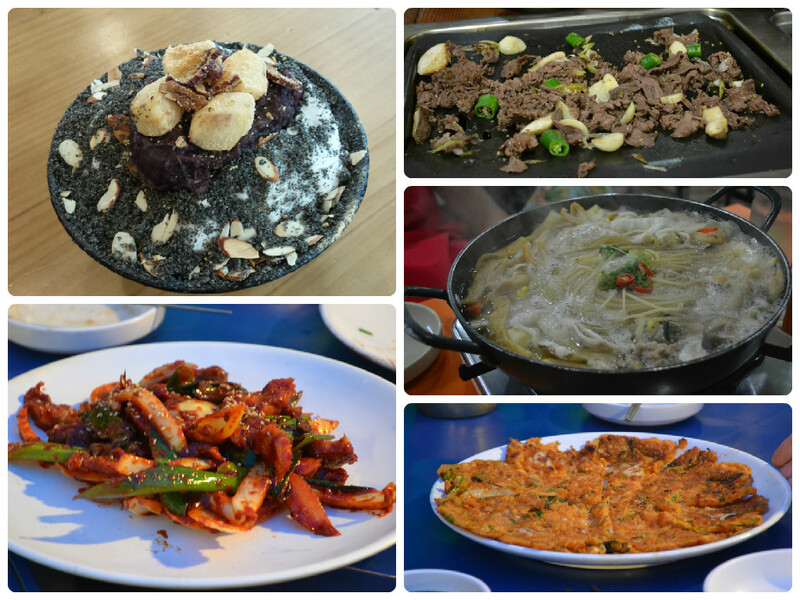 Some of the things I ate during the food tour; snowflake sherbet, kimchi pancake, barbecued beef and more. All of them mouthwatering good. The Kimchee Dongdaemun Guesthouse I stayed in was walking distance from the Gwanjung Market. 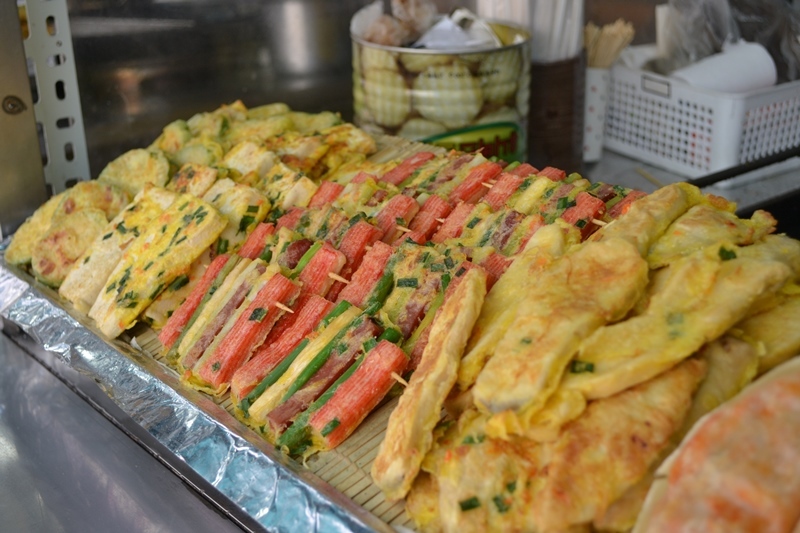 The Gwangjung Market is an amazing food market where you will find typical Korean dishes for prices that even a low budget traveler can’t say no to. 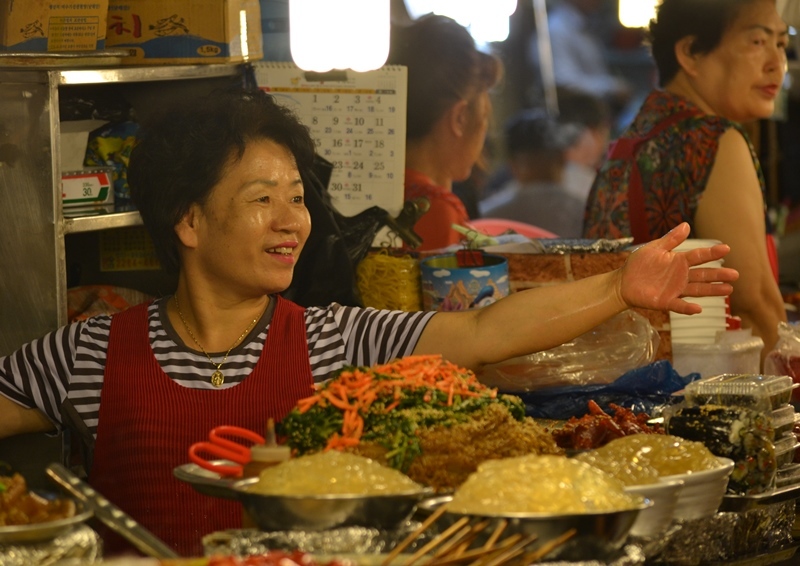 A lady behind her stall, smiling at a costumer. In an egg batter fried snacks, from veggies to fish and sausages. 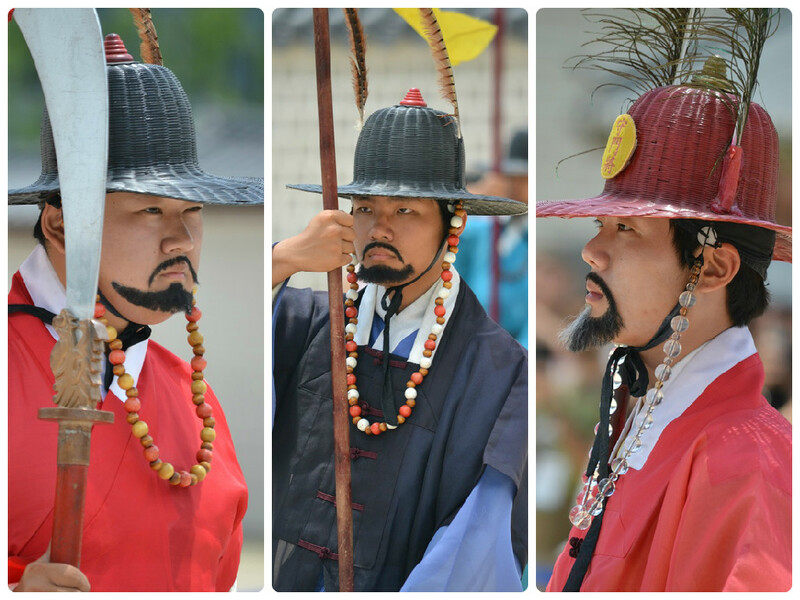 Believe me or not, I didn’t plan on being at the Gyeongbokgung Palace during the changing of the guards. I accidentally happened to be there just before 1 pm, which is when the ceremony starts. I decided to stay and watch the show. It was quite impressive to see. I have to admit though that I kinda felt sorry for the men and women taking part in the ceremony as it was really hot that day. 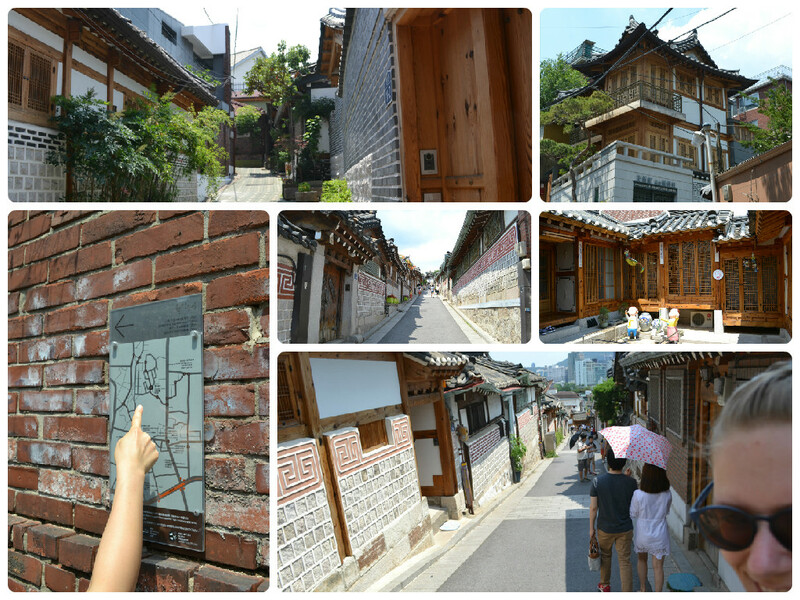 The old Hanok Village. Years and years ago the aristocrats used to live here. Just like the hutongs in Beijing, these houses are disappearing quickly. Luckily there are people who try and preserve them. There is a route you can follow so you will see the best houses that are around. Although I love the city life, I sometimes really want to get away from it and go to the woods or a park for a good walk. Well, in Seoul that’s very easy to do. 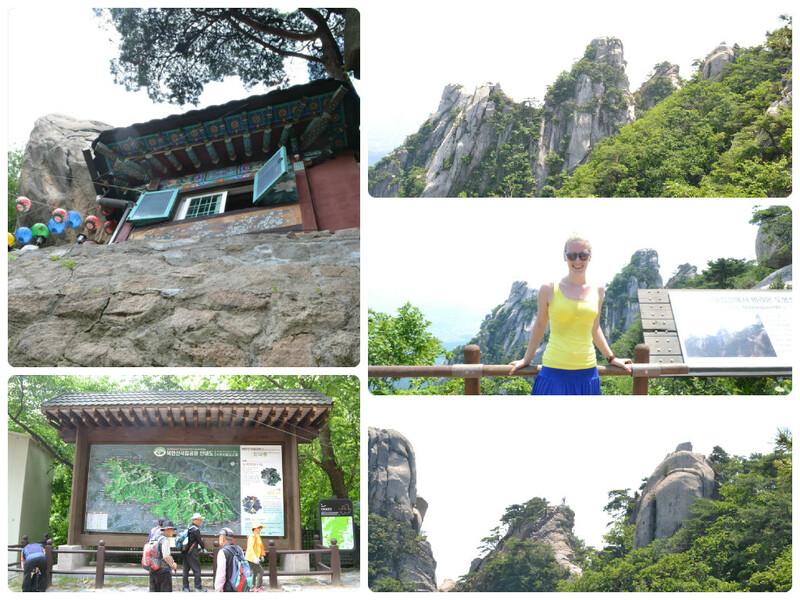 About 45 minutes from the city center you will find Bukhansan National Park, which is a great place for hiking. So far these are the first photos of my city trip to Seoul. The next couple of weeks I will write a lot more about Seoul and what I saw, did, and ate there. So stay tuned! You can follow us on Facebook and Twitter, or sign up for our newsletter. 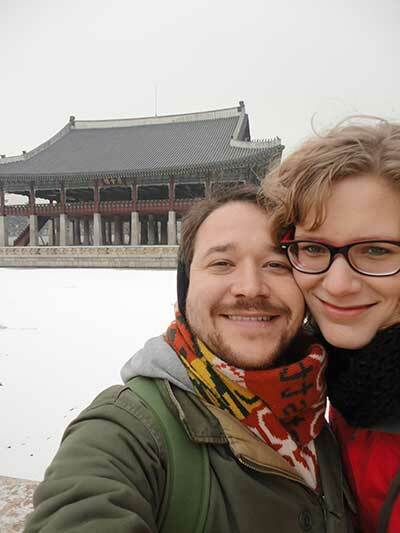 Have you been to Seoul? What did you love about the city, food, or culture? Leave a comment and let’s talk! Seoul looks incredible. I love some of thee portraits you’ve captured here! Thank-you! Seoul is really wonderful! We love the city. Have you been there yet?